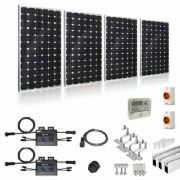 These Plug-In Solar kit has been specifically put together to help developers meet the Part L Building Regulations (which is aligned with the Code for Sustainable Homes) when developing new builds. 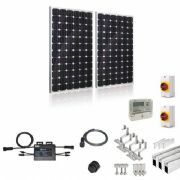 This kit contains all you need to complete your solar installation and meet the SAP (Standard Assessment Procedure) calculations for your new build/office/conversion or extension. All components comply fully with the G83/2 requirements and have MCS certifications.